The Battle of Britain is considered by many people to have been one of the most significant events of World War Two. The Battle marked the first defeat of German forces, since Hitler had tried and failed to establish air superiority. While the German air force (the Luftwaffe) had more planes than the Royal Air Force of Great Britain, the British were able to re-arm and replace pilots a lot faster than the Germans were. Hitler changed tactics at a crucial point in the war, and these facts led to a decisive British victory. The name ‘Battle of Britain’ comes from a speech by Winston Churchill. Regarding the imminent surrender of France in June 1940, Churchill said to the House of Commons ‘the Battle of France is over. I expect the Battle of Britain is about to begin.’ He foresaw a dark and difficult period ahead in which the military strength and civilian spirit of Great Britain was to be pushed to the limit, and the speech encouraged unity and determination in the face of the enemy. Hitler’s aim was to ultimately invade Great Britain in an operation he named ‘Operation Sealion. However, to do so he had to control the English Channel – Britain’s key route to the continent. He knew he couldn’t achieve this unless he had beaten the RAF, and so set out to establish the German Luftwaffe as the superior air force. At this point in the war, Britain was relatively isolated; much of Europe had already surrendered to Germany, and the US government was not interested in engaging in another European war. Hitler saw Britain as vulnerable, and if he could destroy the RAF, he could move to invade. Immediately before the war, the Luftwaffe was indeed stronger than the RAF: they had 2,500 planes compared to the RAF’s 1,200, and their pilots were much better trained for warfare. Many professional British pilots had been killed in France, and their replacements from the RAF Volunteer Reserves were not adequately prepared for the imminent battle. For a lot of the German pilots, the 1936-1939 Spanish Civil War had been valuable experience in aircraft warfare. However, there were not many reserve pilots in the Luftwaffe, and so if pilots were killed in action a replacement was not so easily found. The tactics employed by the RAF in the 1930s were somewhat predictable, keeping to the same formations that always failed in the same way – because of this, the German pilots referred to RAF formations as ‘rows of idiots’. Despite this, the British appeared to compensate for their reduced numbers by gradually becoming more and more efficient, and by the end of July 1940, the Luftwaffe had lost 268 planes, but the RAF had only lost 150. The RAF had also developed a powerful weapon: radar. By the Spring of 1940, there were over 50 radar bases around the country, and in addition to these, the Commander of RAF Fighter Command created a fast and efficient process of relaying information from the radar stations to the pilots, known as the Dowding System. The British pilots were able to navigate both the land and the sky, working with a strong knowledge of the British countryside, and being fed vital information that had been intercepted. The Germans, on the other hand, were operating on foreign soil, so had no ground-level information to utilise. They were also, unlike the British, unable to re-arm on the ground, change pilots during strategic landings, or refuel efficiently. Geographically, the British were in a much stronger position, and the radar systems took the RAF from strength to strength. 24th August – 6th September – attacks focussed on airfields around the UK. 7th September onwards – daytime attacks on British cities. The pivotal point of the battle is commonly considered to have been the third section, although what is now known as Battle of Britain Day occurred in the final part of the battle. 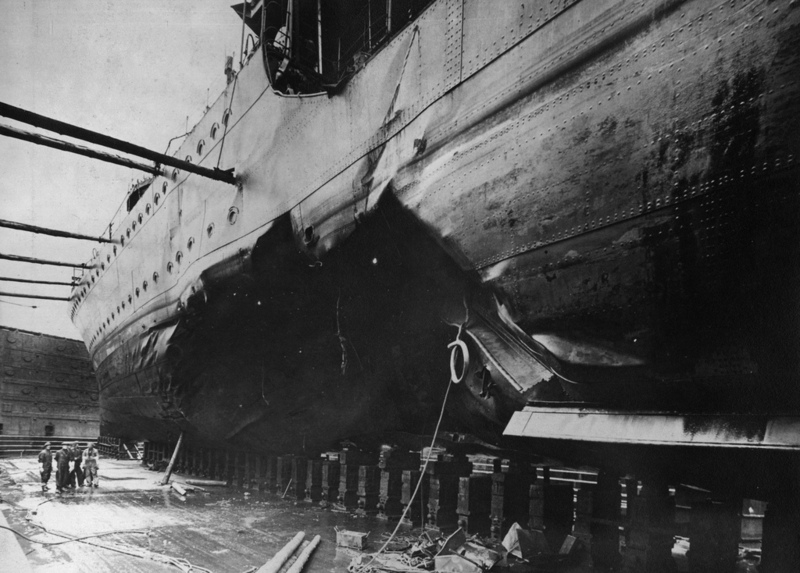 The Channel Battles caused more damage to the British Navy than either air force, with over 20 ships being sunk over the course of the month. This was intended to give German pilots vital experience, and test the British defence. The ‘Eagle Attack’ had a focus on destroying the British radar system; the Luftwaffe was divided into three sections, each focussing on a different area of the British Isles. Four radar stations were damaged, but within six hours they were sufficiently repaired and functioning. Had the Luftwaffe attacked the phone lines or power stations, more significant damage may have been done to the radar system as a whole, but such attacks were not carried out, allowing the RAF to recover quickly and resume operating. Luftflotte 5 was the Luftwaffe section assigned the North of England, and erroneously believed that the North would be easier to attack than the South, meeting far more resistance than planned. Luftflotte 5 suffered such casualties that it did not participate in the rest of the battle, and German tactics had to be reassessed. It was during this phase of the battle that the Luftwaffe fully realised how incapable some aircraft was of combating British forces, and as a result the Junker Ju 87 Stuka planes were deemed inappropriate for battle. This removed one of the most precise bomber planes from the fight, changing the nature of the German tactics. Hermann Göring, commander-in-chief of the Luftwaffe, crucially decided at the end of this phase to end the attacks on the radar stations, misunderstanding quite how vital they were for the RAF. When the Luftwaffe moved inland with their attacks, airfields were not the only areas targeted. London suffered severely during this stage of the battle, which resulted in retaliation attacks on Berlin by the RAF on August 25th. Göring had, prior to the war, boasted that no British planes could ever bomb Berlin, and these events in late August wounded his pride, and enraged Hitler. As the airfield attacks progressed, the Dowding System was threatened, but never destroyed. 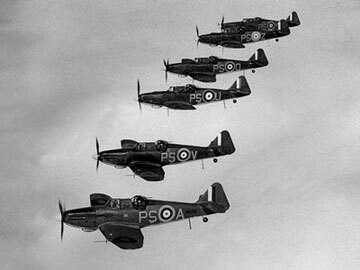 An influx of Commonwealth pilots boosted the RAF’s numbers, helping it recover from the serious losses suffered during this period. It was also in this section of the battle that the advantages of fighting over Britain became apparent to the RAF; many German pilots were taken prisoner, or died at sea after parachuting into the English Channel. British planes were able to refuel quickly and safely, whereas German pilots were in constant danger, and losses were much harder to replace. On September 15th, the RAF resisted an intense wave of German attacks, destroying 60 German aircraft and 24 British. This proved to be a turning point in the battle, since the Luftwaffe was left wholly demoralised, and the overall tactic of the German airforce had to change: attacks were no longer conducted during the night, limited solely to the daytime. Such huge losses to the Luftwaffe unnerved Hitler, and caused him to declare that he was postponing the invasion of Britain. September 15th has been known as Battle of Britain Day. Regular attacks by the Luftwaffe sharply declined in the days and weeks following September 15th, coming almost to a complete stop by the end of October. Hitler maintained that an invasion would be coming in the Spring of 1941; this never came. The Battle of Britain was a decisive British victory, since Hitler failed in his aim of establishing German air superiority. The RAF was vastly more efficient than the Luftwaffe had expected, leading to the first military defeat for Nazi Germany. Churchill’s prediction that this would be the ‘finest hour’ was proven correct, and he famously said of the Fighter Command that ‘never in the field of human conflict was so much owed by so many to so few’ (August 20th 1940). It was this event that caused the US government to change its views towards the war: Britain now seemed to have a chance of winning the war, and so should be supported. It is speculated that the Battle of Britain was vital in the overall victory of the Allies. It is possible that, had the Germans continued their attacks on the airfields, the RAF might not have recovered in time to successfully defend itself. Because the Luftwaffe shifted the focus to the cities, the RAF could regroup, ultimately leading to victory. Some key questions that are frequently asked about the Battle Of Britain. Why did the German air force attack? German leaders felt it was essential to destroy the British air force to stop it sinking the ships that would carry German soldiers across the Channel. What is known as the ‘Battle of Britain’? Battle of Britain is the name commonly given to the effort by the Luftwaffe to gain air superiority over the Royal Air Force (RAF), before a planned sea and airborne invasion of Britain during the Second World War. The Luftwaffe tried to destroy the Royal Air Force. The Supermarine Spitfire is a British single-seat fighter aircraft used by the Royal Air Force and many other Allied countries through the Second World War. On 10 July, 1940, the Luftwaffe made their first bomber attack on British ships in the Channel. In August, 1940 the German air force began its mass bomber attacks on British airfields, harbours, aircraft factories and radar stations. During the next three months the Royal Air Force lost 792 planes and over 500 pilots were killed. The Avro Lancaster was a British four-engined Second World War night bomber. When did the Battle of Britain end? 31 October 1940, is generally considered to be the end of the Battle of Britain, after the RAF caused considerable damage to the Luftwaffe. 1,547 allied aircraft were lost during the Battle of Britain.